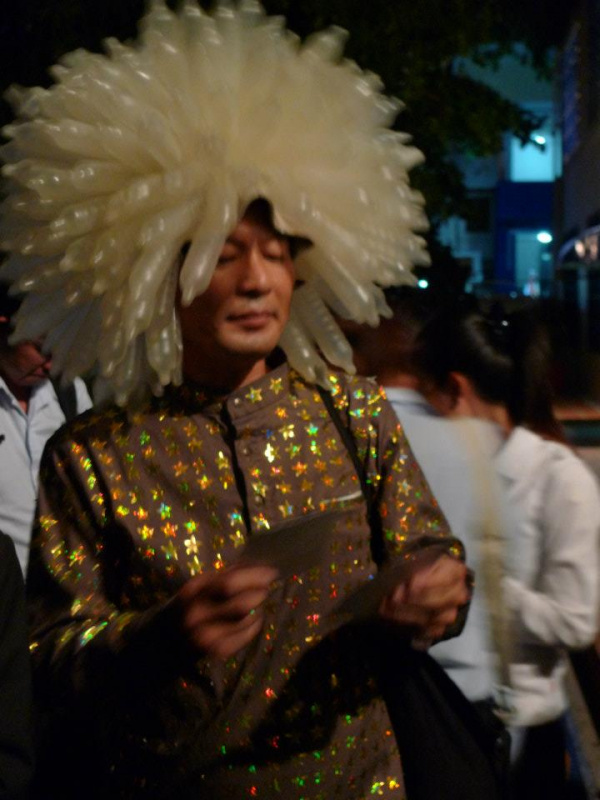 Khiang Hei at CCF Exhibition in Phnom Penh. 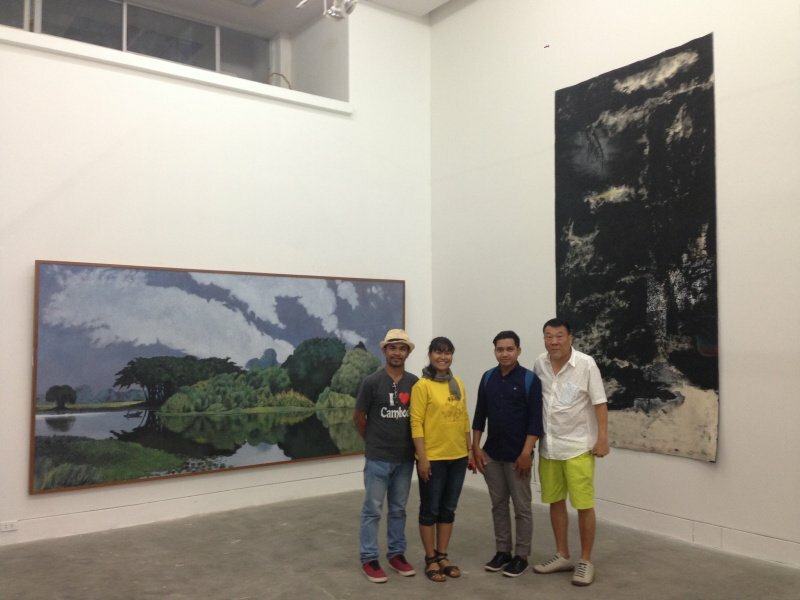 An art trip with Cambodian artists organized by Khiang Hei this year. 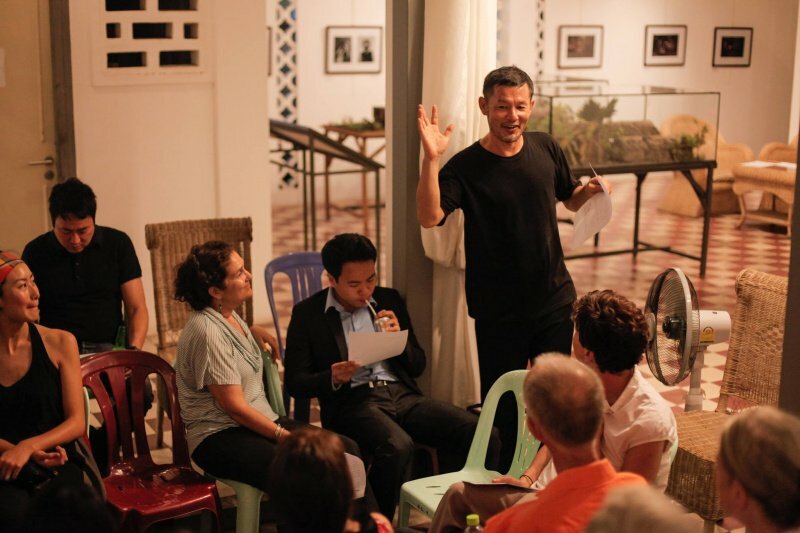 How can we ignite the Cambodian art scene? Here are some solutions proposed by the Cambodian-American artist, curator and collector Khiang Hei. “I want some tea, do you want some too? Let me see if they have it!” said Khiang Hei, looking around at the plastic tables of the typical Phnom Penh street corner bar we were sitting in. “They used to have unlimited tea! I like it when you can sit and drink all the tea…” I agreed. There’s nothing like tea to create a space of quiet, deep conversation, and forget about the constant background noise of Phnom Penh’s hellish traffic for an hour or so. And once Khiang had mentioned it, I couldn’t get this idea of unlimited tea out of my head. It sounded to me like a metaphor for something that I couldn’t quite get into focus yet. Besides being a tea lover, Khiang Hei is a Cambodian-American artist, curator, collector and art advisor. As soon as I arrived in the Kingdom’s capital, I was eager to talk to someone who had operated on many different levels in the Cambodian art scene. Khiang’s well-rounded views come from not only witnessing and contributing to the growth of the local scene for many years, but also from being educated at the prestigious UCLA in Los Angeles. A New York resident, he is constantly in touch with the international art landscape. 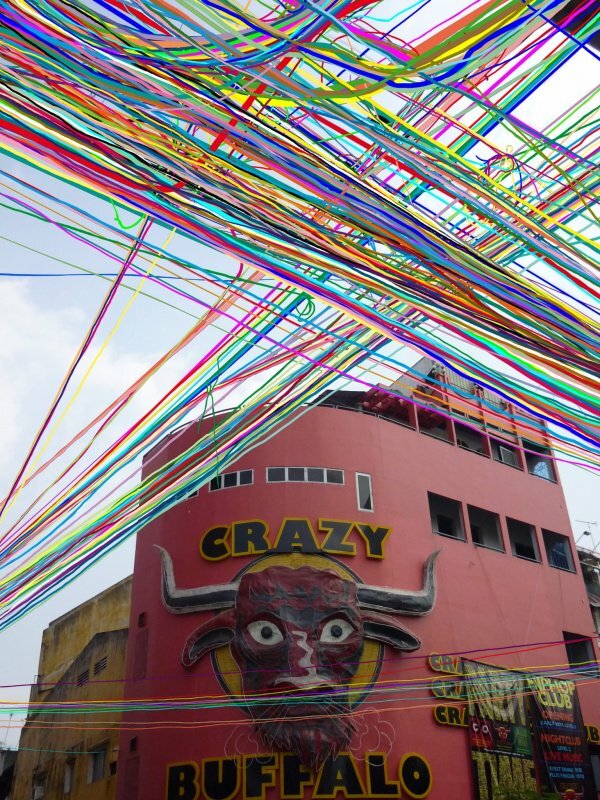 We tackled the most pressing issues together in the emerging Cambodian art scene. 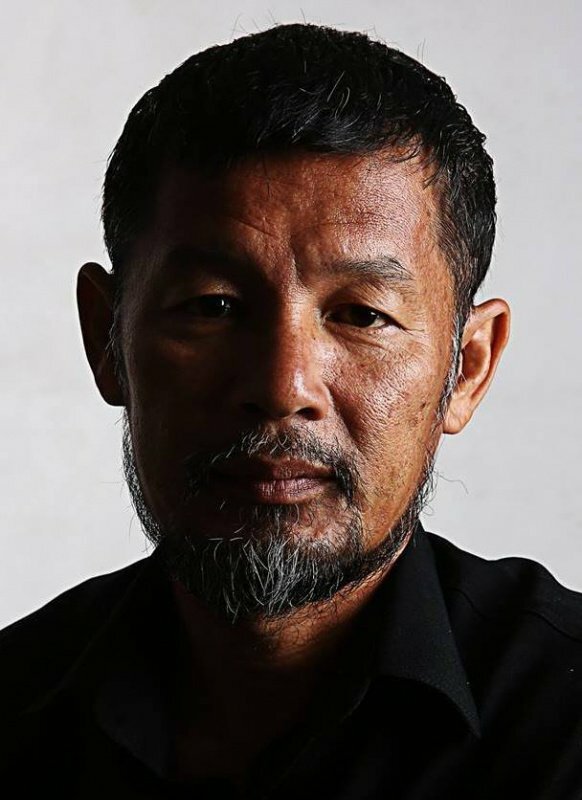 With an understanding of the local hardships, as well as a very pragmatic spirit, Khiang suggested possible solutions, some of which he has implemented himself over the years. He sees this fixation with “authentic Khmer” as a defense of the local art world, which often feels threatened. Many artists, he said, have the desire to live abroad and travel, but there are few opportunities for this, if they don’t know English or have the financial means, they are prevented from taking the opportunities. While the influences from abroad exist, local artists don’t frequently consider how to deepen their knowledge, via study trips or studying on their own. As a result, these influences are neither really digested or built upon very often. To help local artists grow and develop, Khiang has worked over the years to bring artists to travel to Thailand with him and helped them to find funding. He also insisted on the artists learning about making art and art history, and expanding their knowledge and learning through reading books and publications. In order to develop within the local scene, it is vital for artists to interact with each other. “Visiting other people’s studios would help them to understand how each person creates their space, how they paint and what they use,” observed Khiang. “You bring people to look at someone else’s work, and they might comment on it. And if they have a good point, artists should accept criticism and improve their work from there.” As part of this process, he urged major local artists to engage more with young and emerging artists. When the creative spirit of a country is deeply wounded by its tragic history and is restricted, it is understandable that its artists would operate out of fear and fight amongst each other for what is perceived as a limited opportunity. I feel that the best gift that one can give to Cambodian artists is to make them realize that there is indeed an unlimited creative imagination which lives inside them, and then help them understand how to nurture it in their own limited circumstances. This is the key to growth and that’s precisely what people like Khiang Hei are striving for. Watching the artist being swallowed up by Phnom Penh’s swarm of motorcycles and tuk-tuks, I took my last sip on the unlimited tea and suddenly felt so much lighter.